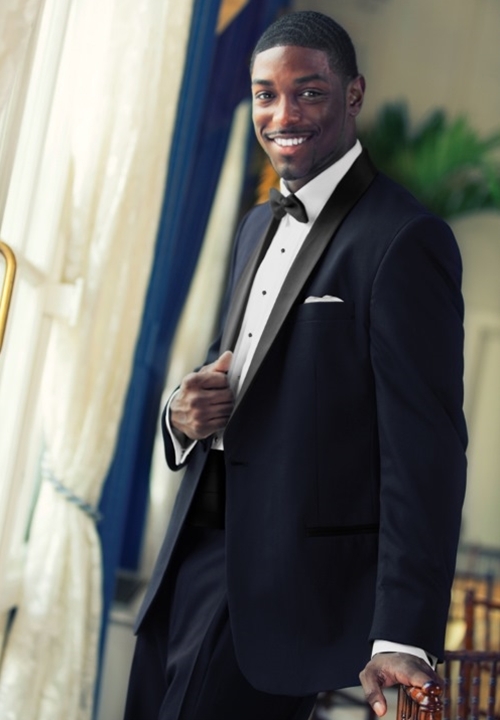 This tuxedo is a very dark midnight blue, with black satin shawl lapels and a 1 button front. This tuxedo is a very dark midnight blue, with black satin shawl lapels and a 1 button front. Tailored to modern apparel trends, the Midnight 'Maxwell' is a modern fit featuring higher arm holes, a slightly shorter length (30.5in), and a tapered waist designed to present a more refined silhouette. It is available with black pants, the matching trousers are no longer available.